What is the EAT method? The EAT method is a revolutionary self-tarot reading method. Better than any book or tarot course if your desire is to read for yourself. The EAT method teaches you how to successfully sleuth out accurate insights, on your own, using a set of tarot cards. And with only 16 pages in the document, get to the heart of reading within an hour!! are too emotionally close to the subject and need objectivity. want deeper insights into your issues. want to help yourself solve a long-standing issue. are private and secretive about your life or what you want to know and don’t want a stranger knowing. want to know the answer to a problem at anytime. Think about it… Whether it’s 3AM on a Saturday night, your traveling on a plane, at an interview, or wherever — you can get the answers you need, on the spot. “EAT is so much fun Jucy, thanks for all you created and all you’ve done. This work is really significant in my opinion. It was a lot of fun. This method is simple, and can be used for “spur of moment” readings. Within 48 hours receive your EAT document. Call 647-895-4233 or email us if desired. • Give credit where credit is due. Arthur. If given the opportunity, I will let people know. • Not share, photocopy, or distribute. o I will not photocopy, distribute, or share this method or approach with anyone else without written permission. • Not to teach the EAT method. o I have agreed not to teach the EAT method and/or Solo Approach. Certification is available to me if I want to teach this method. Can you wait to get this Self-Tarot Reading Document? Subscribe to the I want to EAT it! wait list for 50% off the copy $30!! Includes Live Help. self-tarot reading method with live help. What are people saying about the EAT method? Have you ever wanted to read tarot for yourself but had a hard time doing it? Have you ever asked yourself: How can I do self tarot card readings? The EAT method helps you learn how to read the tarot more effectively and accurately than any other book or course currently on the market. In a tarot reading session, lasting one hour or less, prepare to download incredible answers with the EAT method.What is EATing? own accurate and intuitive answers to questions. than any book or tarot course if your desire is to read for yourself. The EAT method teaches you how to successfully sleuth out accurate insights, on your own, using a set of tarot cards. * you are too emotionally close to the subject and need objectivity. * you want deeper insights into your issues. * you want to help yourself solve a long-standing issue. * you are private and secretive about your life or what you want to know and don’t want a stranger knowing. * you want to know the answer to a problem at anytime. * you want to save money. • Not share, photocopy, or distribute. o I will not photocopy, distribute, or share this method or approach with anyone else without written permission. • Not to teach this. o I have agreed not to teach the EAT method and/or Solo Approach. Certification available for those who want to teach this method. Includes one 15 minute live help and an emailed response to a question. I agree to the conditions to the right for the downloading of this document for PERSONAL Use Only. Missing Numbers: Identify your missing numbers and bring abundance and ease into your life. Have you ever felt that something is missing? That life is a struggle at times? That if only x, y, z happened then you would be on the road to infinite success? Do you find yourself being your own worst enemy? Do you want more ease in your life? In this one-on-one workshop, Abella Arthur (Certified Professional Tarot Reader) will calculate and identify your missing numbers. You will then discover how to integrate them into your core personality in positive, productive, and meaningful ways. This is for anyone who wants to discover the missing links. 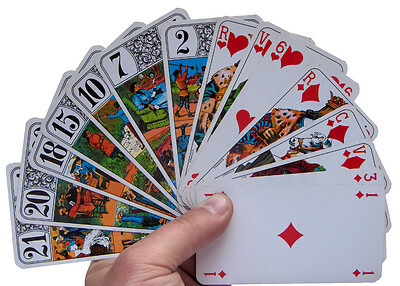 Intuitive Tarot Reading: Learn how to read the cards in less than an hour. Are you interested in Tarot but don’t have the time, patience, or interest to study it? Are you just not “getting” Tarot? Would you like to be able to read for yourself, friends, and family from time-to-time? Use the ancient cards of wisdom with ease. Use the ancient cards of wisdom with ease in this one-on-one workshop with Abella Arthur (Certified Professional Tarot Reader). Abella helps you get reading confidently in a short period of time so you don’t need to study Tarot or any other system for years before becoming a proficient casual reader. This is NOT for people who want to read professionally**. As a professional you will have the ability to: handle difficult readings and challenging seekers, divine timelines, predict the future with great accuracy (freewill is, of course, always a factor), be specific, say something that you possibly couldn’t of known, be dedicated to continuous learning, improvement, and reading on a constant basis, develop reading relationships, handle energy drains, know other esoteric tools in great depth, and much much more. If you are interested in professional training, please contact me for details. As a hobbyist, Tarot will not pervade your life. You will turn to this hobby whenever it suits your mood. You may read for people at parties on a whim rather than being scheduled to read. There will not be many books (i.e. over 6) or cards (i.e. over 3*) on your shelf related to Tarot. You will more than likely have difficulty with reading unique one-off questions or requests. Maybe you have never tried to read Tarot but it’s intriguing and you may decide to take it up as a hobby. A hobbyist may eventually become a professional. Psychic Tarot Training, Workshops, Classes, Tutoring, Sessions, etc..